With all the long hours of training at Mars Hill, having nutrition on the bike is a must. We’ve all had those training rides that somehow turn into bonk rides, so we’re fortunate to have Raw Revolution as a sponsor–and their bars in our back pockets–to make sure we’re fueling regularly with the highest quality ingredients. As an athlete, I want to know what I’m putting in my body. With Raw Revolution I know I’m only taking in organic, vegan, and gluten free energy bars. It’s always a relief to read the ingredients label on the back and recognize the quality whole foods that are in the bars I’m eating. Raw Revolution makes a variety of bars: 10 different flavors to be exact. My personal favorite being the Almond Butter Cup bar. It’s all well and good to be eating something that’s nutritionally beneficial for you, but it’s even better when it tastes great. In the past, I would get tired of eating the same bland energy bar, but ever since I switched over to Raw Revolution I never dread reaching in my back pocket for a bar. It’s real food, tastes good, and the raw foods are easy to digest. I also appreciate the high standards the company sets for themselves. They source organic ingredients and stay away from anything genetically modified. They’re also environmentally friendly, minimizing packaging and space during storing and transportation. The crazy thing is they’re able to do all these incredible things and still produce an affordable product. Cycling is expensive enough as it is, so having energy bars that don’t break the bank makes Raw Revolution a go-to energy bar choice, whether on or off the bike. Ask for them at your local bike shop or grocery store. 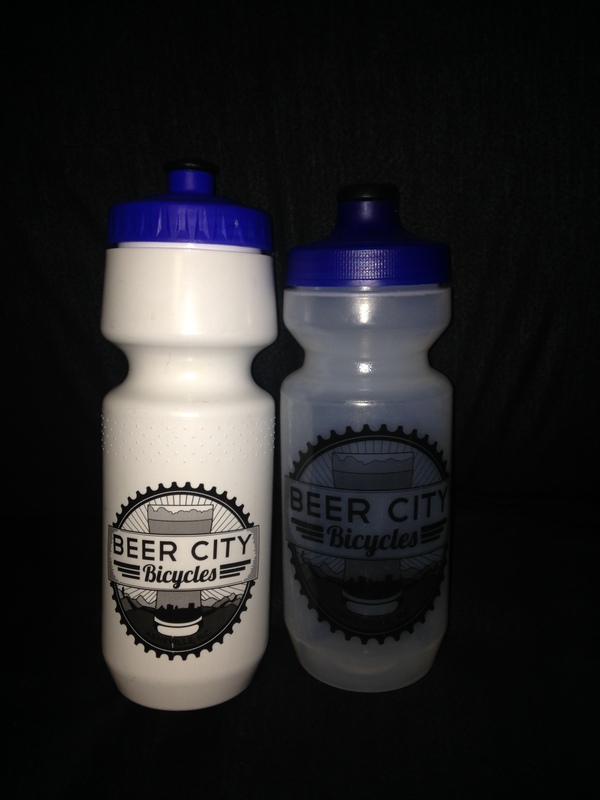 Beer City Bicycles is a great bike shop and offers many other things. They have everything from bike parts to CompuTrainers to beer and hot sauce. I heard they also have a bakery and coffee shop coming soon. What more do you need? The first time I went there I was completely new to the sport, but they made me feel right at home. I received friendly service and they were very helpful. Frank, their manager, helped me pick a bike that would be best for me. Not only that, but he fit me to the bike at the shop. They geared me up from head to toe, with perfect shoes and a helmet. They also gave me a water bottle, and all this at an amazing deal. Service is great and they are extremely nice. They take their time to help you find exactly what you need and fits you the best. The shop also has their very own bar, where there have local beers on tap. And if you want hot sauce, well they have that too: all kinds of varieties from Pepper Palace. When I went to go train on the CompuTrainers, they set my bike up on the trainer to get me started and were supportive the entire time through the workout. They helped configure my workout for my personal training level. It was my first time on a trainer like that, but they took the time to explain everything to me and were very patient. It’s a a friendly atmosphere where they greet everyone who walks in with a friendly hello and a smile, which makes you feel right at home. 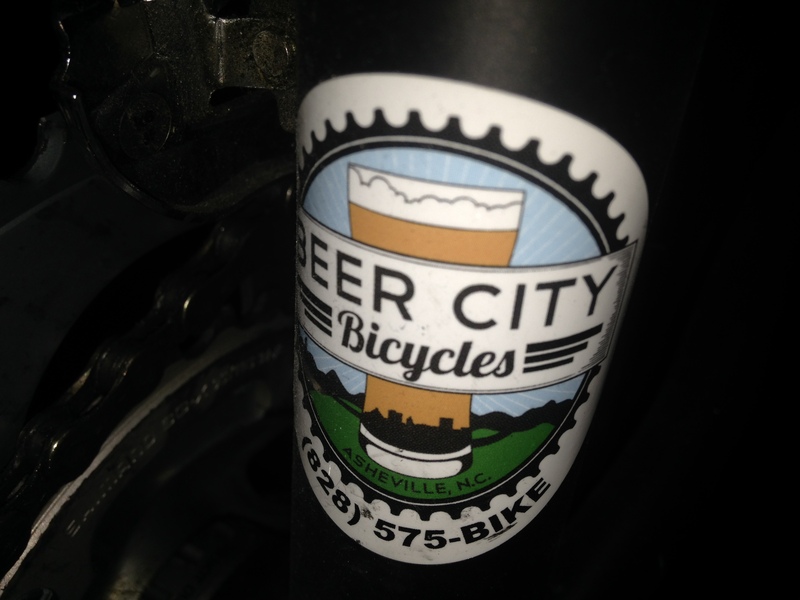 I know that if I ever need any kind of repair I can go to Beer City Bicycles and they will help me. 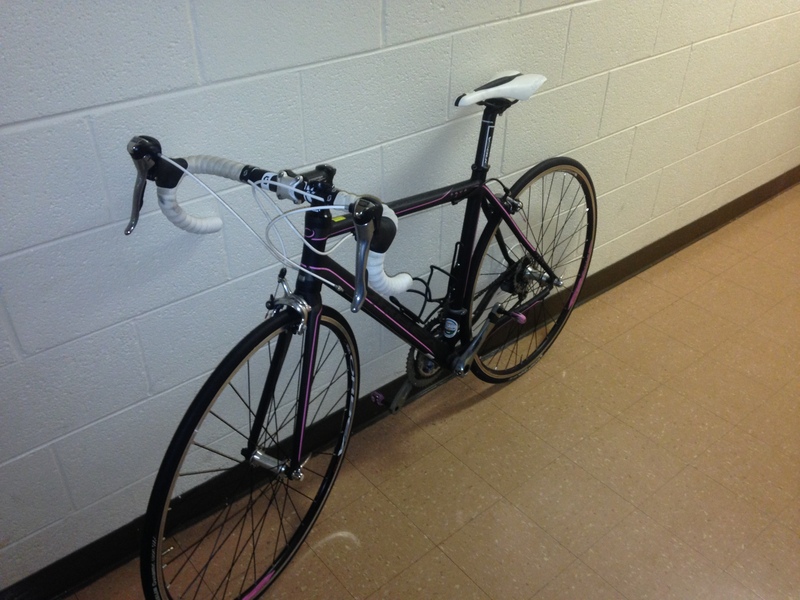 They support the Mars Hill Cycling Team with all kinds of support. Thanks for everything, Beer City Bicycles!